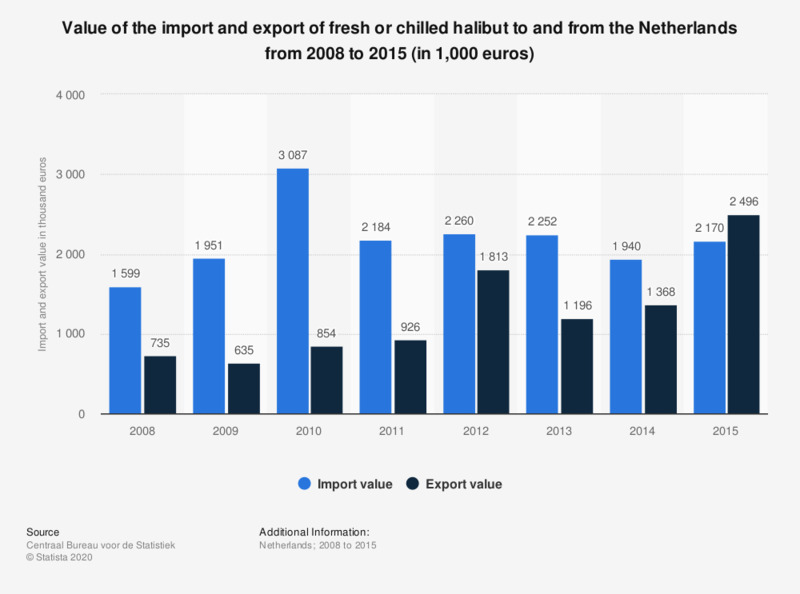 This statistic displays the value of the import and export of fresh or chilled halibut to and from the Netherlands from 2008 to 2015 (in thousand euros). It shows that between 2008 and 2014 the value of the import of fresh or chilled halibut was higher than the value of the exports. This category includes black or Greenlandic halibut, Atlantic halibut and Pacific halibut.